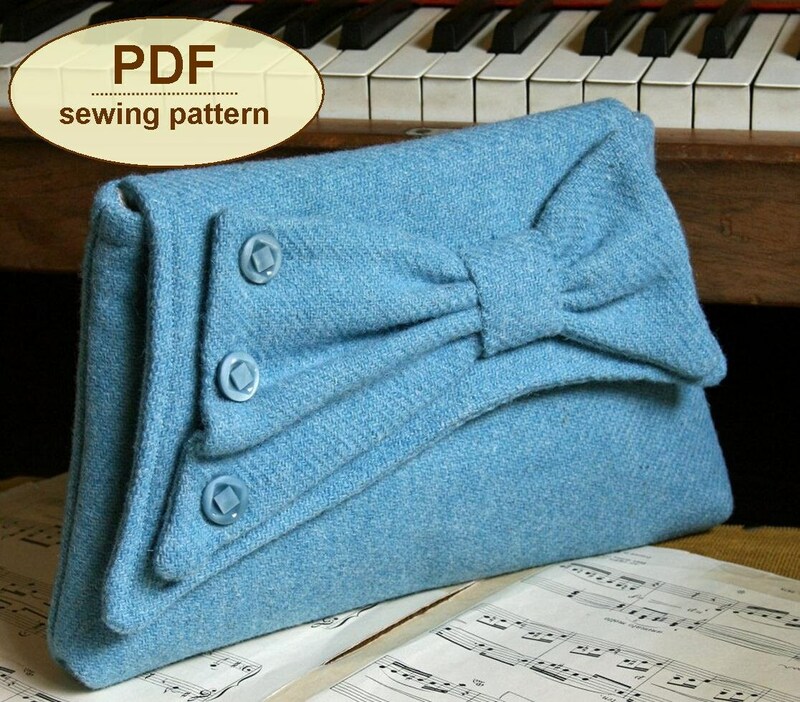 Taking inspiration from the styles of the early 1930s, this PDF SEWING PATTERN is for a delightful vintage-style clutch bag with a stylized asymmetrical flap and bow, popular in the decade. 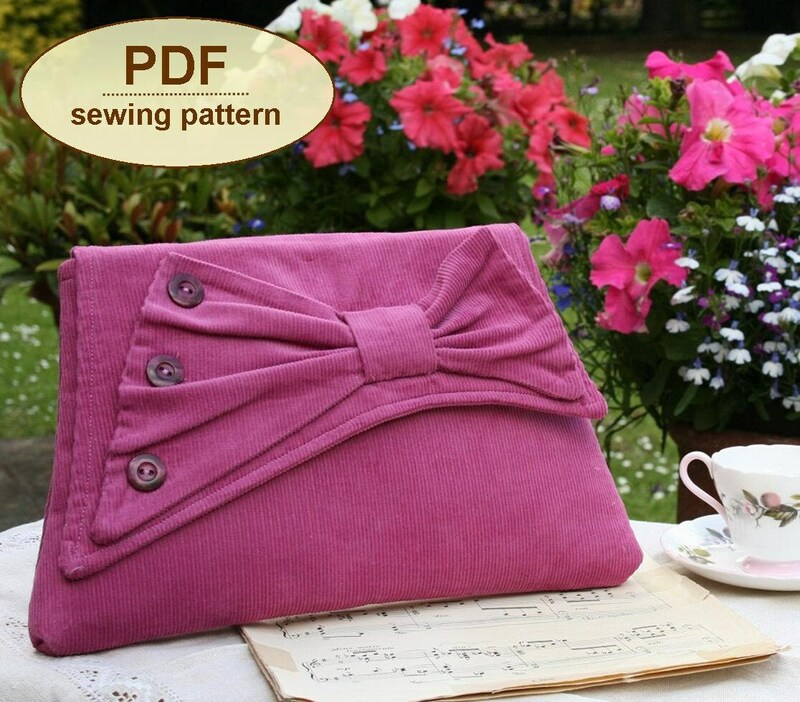 The bag is of easy flat construction with squared off corners to form a narrow base. 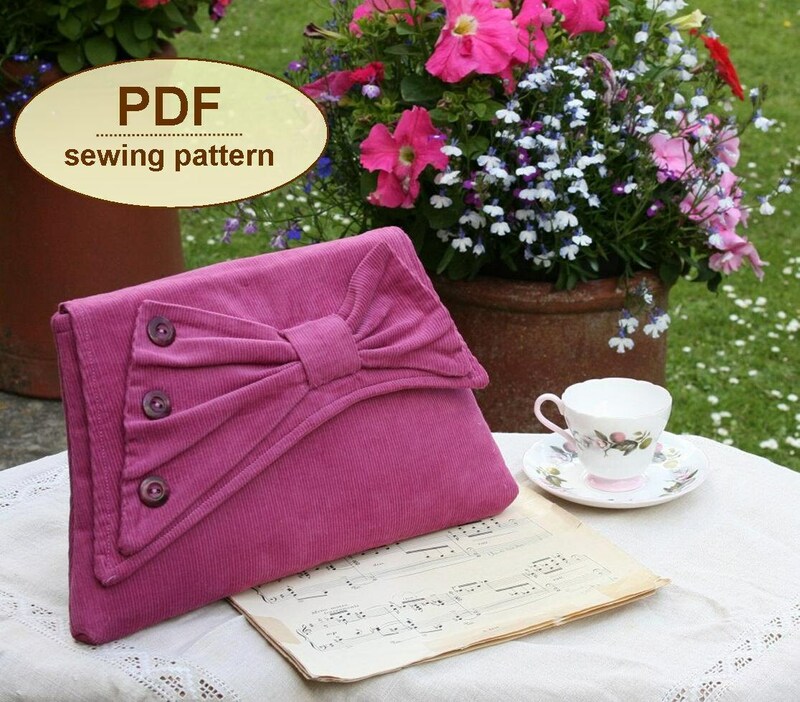 It has an unusual shaped flap and off-centre bow, trimmed with a flourish of three small vintage buttons, all in Charlie’s Aunt signature style. This bag is slightly bigger than our Dorothy Clutch Bag and is ideal for weddings, evening functions and other special occasions. 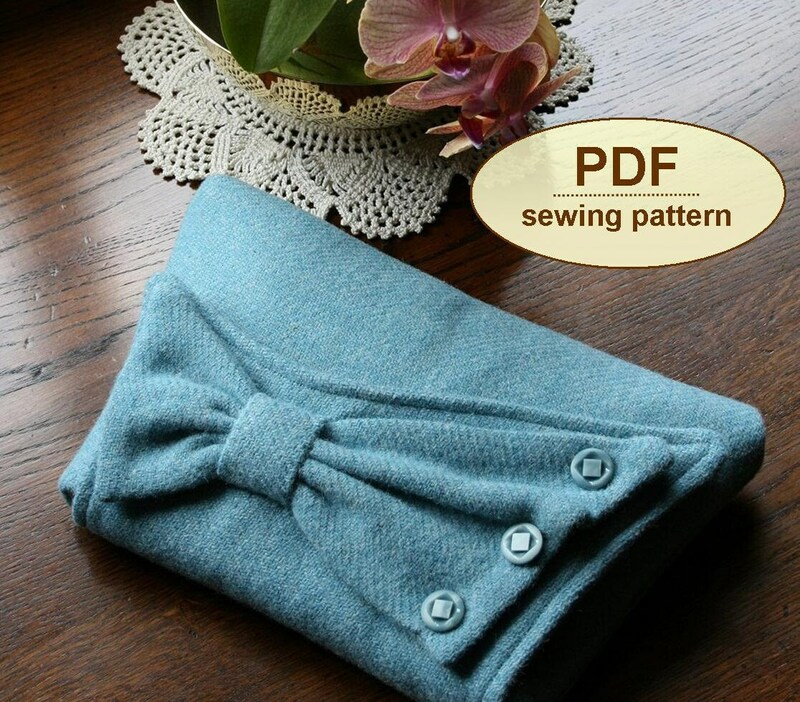 It can be made up in everything from rich cotton corduroy to woollens and patchwork fabrics. 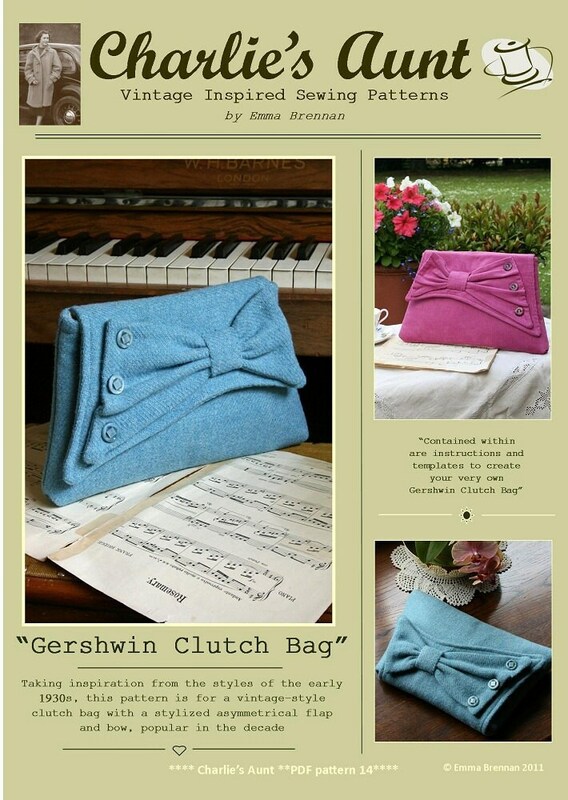 The Gershwin Clutch Bag pattern has 12 pages – 7 pages including photographs, detailed instructions and illustrations, plus 5 pages of full sized pattern templates which you must print on letter (A4) paper and cut out. All templates are actual size.